Mamata Banerjee criticises BJP for pulling down of Lenin's statue in Tripura - Integration Through Media ....! 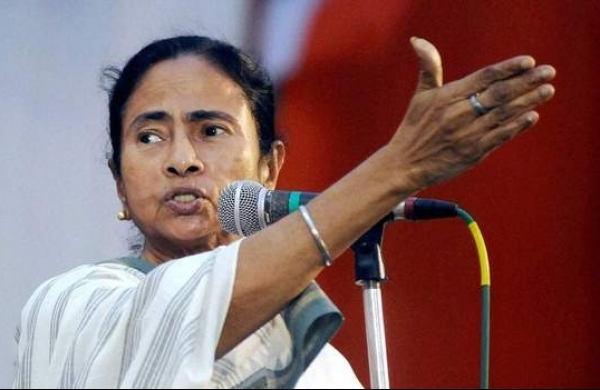 BANKURA: West Bengal Chief Minister Mamata Banerjee today came down heavily on the BJP for its alleged involvement in the pulling down of a statue of communist icon Lenin in Tripura, where the Left Front has been overthrown by the saffron party in the recent Assembly election. ''I am against the CPI(M) and Marx or Lenin are not my leaders. I have always protested against the atrocities of the CPI(M). Similarly, I will also not accept the BJP's atrocities. ''Nobody is protesting. But somebody has to bell the cat. I will protest. We will protest. Always remember this,'' the Trinamool Congress (TMC) chief said at a public review meeting here. The five-foot-tall fibre-glass statue of Vladimir Lenin, which was unveiled by CPI(M) politburo member Prakash Karat a few months ago, was yesterday pulled down allegedly by BJP workers at the College Square in Belonia in South Tripura district. Banerjee, a known critic of the BJP, said, ''If you (BJP) think that because you have come to power in a state (Tripura), you will destroy statues of Marx, Lenin or Gandhiji, we will not accept it. Banerjee recollected her protests against the forcible acquisition of farmlands in Singur and Nandigram and the massacre at Netai, where nine villagers were killed in firing allegedly from a CPI(M) activist's house during the erstwhile Left rule in West Bengal. ''We came to power (in Bengal) after 34 years of atrocities by the Left. Our slogan was 'Bodla noi, bodol chai' (we want change, not revenge). That is why even after the CPI(M)'s atrocities for so many years, we have not followed the path of revenge. That is not our nature and that is not democracy,'' she said. The TMC chief was also critical of the media's role in reporting the pulling down of the Lenin statue. “I would like to know why are you (media) mum now. Can't you see now? They (BJP) are up to vandalising everything there (Tripura),'' she said. In the recently held Tripura Assembly polls, the CPI(M)-led Left Front, which had been in power in the north-eastern state for the last 25 years, was overthrown by the BJP-IPFT alliance, which won 43 seats in the 60-member House.